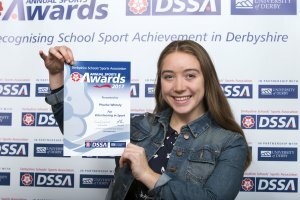 I'm Phoebe Whiteley, I'm 18 years old and I attend Lady Manners Sixth-form in Bakewell, currently studying A- Level Sport Studies, English Literature and Media Studies. The sport I'm most involved in is Netball, I've been a part of the school team for seven years. I'm planning to do Film Production at university after a gap year. 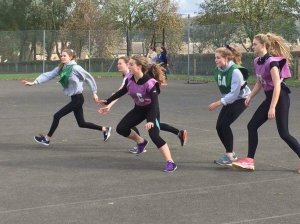 How did you get into coaching netball? I've always been involved in sport at school and as I got older I'd take on more responsibilities such as umpiring at lunch clubs then coach a few sessions when helping in lower-school lessons. I also took part in the level 2 leadership award, preliminary umpiring in Netball and Rounders. In summer 2016 I was invited as a young leader to help at a junior school talent academy run by Rural Derbyshire School Sports Partnership. After this I was picked out and advised to apply for the This Girl Can Coach Programme. From there my passion for coaching netball flourished because I was able to achieve a level 1 coaching qualification due to the funding available, this was an amazing experience because I had been given the confidence to coach independently. It also couldn't have happened if I hadn't got so much support from own school and the PE department which have inspired me. How would you like to develop your coaching in the future? The thing I'm most looking forward to in the future with my coaching is being able to carry on with netball and progress whilst playing at university, and hopefully start up my own Back to Netball group one day. I am also involved in the equestrian sport, Endurance Great Britain, this involves competitive long distance riding. Being connected to the Derbyshire group I already act as a technical steward at local competitions and have had years of experience with the sport, my next step would be to look into doing a Level 1 coaching qualification in Endurance Riding. How do you think coaching helps you in other areas of your life? I think being a coach really builds your confidence because you're communication is a key part of teaching sessions and working with a range of personalities. It also contributes to your own performance because you can talk to other coaches, benefit from their advice and gain different ideas from sessions. When you're coaching you understand the meaning of team work and that benefits in the work place too. What would you say to anyone who might be interested in either getting active or getting in coaching? First of all go for it! Getting into sport is the best thing you can do with loads of fitness, social and psychological benefits. It allows a person to release any emotions/ anxieties of the day and channel it into sport, whilst being healthy. I love playing netball because I can forget about any exam worries or homework just for a while then I can go back to my work with a fresh and energised mind. Getting into coaching is also brilliant because you can see your teams/athletes get better and you know that you helped them achieve and progress. I would also advise contacting Coaching Derbyshire where you can find a course suited to your sport and apply for a bursary so you can get your coaching off the ground. If you want to get into coaching or instructing, visit our Coaching Derbyshire page for help. 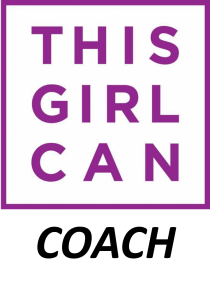 You can also apply for This Girl Can Coach funding here.